Ghost ships are vessels found adrift at sea with its crew either dead or missing under mysterious circumstances. They appear in folklore and historical accounts. 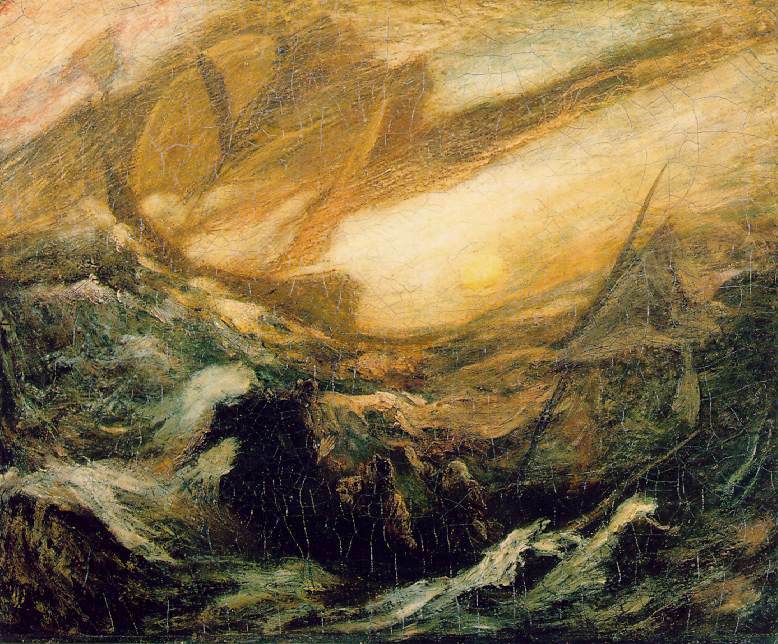 Probably the most famous fictional ghost ship is the Flying Dutchman, the legend of which dates to the 18th century. Phantom vessels like the Mary Celeste, the HMS Resolute, and the SS Orang Medan are also very real occurrences that have been sighted throughout history. So it’s no surprise that ghost ships have been found in the waters near Japan, what’s shocking is the frequency they have been recovered. The Japanese Coast Guard has reported 34 ghost ships in 2015, 65 vessels in 2014, and 80 in 2013. According to CNN, over the past two months more than a dozen ghost ships, carrying the remains of at least 22 people, have been found off the coast of Japan. All of the bodies were male but no documents have been recovered to help identify the remains. Most of the corpses were so badly decomposed it was difficult or impossible to determine the cause of death. One wooden boat, found adrift at the end of November, carried seven bodies that were so decayed that some of the skulls had separated from the bodies. The Japan Times reported that most of these boats are “primitive-looking motorized” ships with fishing equipment and nets. The heavy wooden boots are about 10 to 12 meters (32 to 39 feet) long and were not equipped with GPS navigation. A clue for the origins of these macabre ships was found on a vessel discovered off the west coast of Japan on November 20th. This ghost ship, which contained the remains of 10 people, had markings that indicated that it belonged to the Korean People’s Army, North Korea’s military defense force, and pieces of material that looked like a North Korean flag. Some, like John Nilsson-Wright, head of the Asia program at the Chatham House policy institute, thinks these ships are carrying North Korean defectors who chose to flee via ship “because the traditional routes are being more closely monitored.” (via The Guardian and The Washington Post). Others believe these ghost ships are the result of orders from North Korean dictator Kim Jong Un for increased food production. According to reports, Kim demanded an increased supply of seafood and established incentives for larger hauls, which would either be given to members of the military or exported to China. But when North Korean fisherman chose to sell their catches to China for more money, North Korean soldiers either decided to catch their own fish or hired civilian fisherman to make more money. Either way, these North Korean fishermen or soldiers took risks further out to sea in vessels that were not suited for prolonged trips and the crews of these ghost ships likely died of exposure and/or hunger.